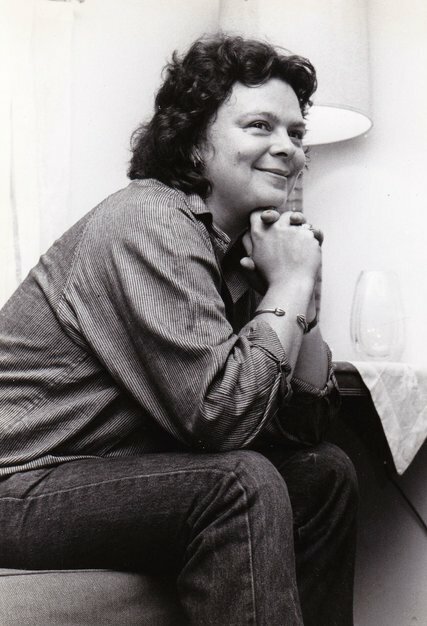 Born in a Jamaica still under British rule, the acclaimed and influential writer Michelle Cliff embraced her many identities, shaped by her experiences with the forces of colonialism and oppression: a light-skinned Creole, a lesbian, an immigrant in both England and the United States. In her celebrated novels and short stories, she has probed the intersection of prejudice and oppression with a rare and striking lyricism. In her first book-length collection of nonfiction, Cliff displays the same poetic intensity, interweaving reflections on her life in Jamaica, England, and the United States with a powerful and sustained critique of racism, homophobia, and social injustice. 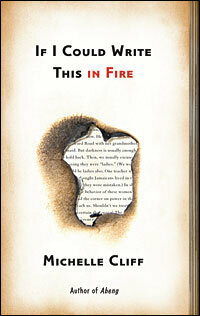 If I Could Write This in Fire begins by tracing her transatlantic journey from Jamaica to England, coalescing around a graceful, elliptical account of her childhood friendship with Zoe, who is dark-skinned and from an impoverished, rural background; the divergent life courses that each is forced to take; and the class and color tensions that shape their lives as adults. The personal is interspersed with fragments of Jamaica’s history and the plight of people of color living both under imperial rule and in contemporary Britain. In other essays and poems, Cliff writes about the discovery of her distinctive, diasporic literary voice, recalls her wild colonial girlhood and sexual awakening, and recounts traveling through an American landscape of racism, colonialism, and genocide—a history of violence embodied in seemingly innocuous souvenirs and tourist sites. A profound meditation on place and displacement, If I Could Write This in Fire explores the complexities of identity as they meet with race, gender, sexuality, nationality, and the legacies of the Middle Passage and European imperialism. A brilliant Jamaican-American writer takes on the themes of colonialism, race, myth, and political awakening through the experiences of a light-skinned woman named Clare Savage. The story is one of discovery as Clare moves through a variety of settings – Jamaica, England, America – and encounters people who affect her search for place and self. The structure of No Telephone to Heaven combines naturalism and lyricism, and traverses space and time, dream and reality, myth and history, reflecting the fragmentation of the protagonist, who nonetheless seeks wholeness and connection. In this deeply poetic novel there exist several levels: the world Clare encounters, and a world of which she only gradually becomes aware – a world of extreme poverty, the real Jamaica, not the Jamaica of the middle class, not the Jamaica of the tourist. And Jamaica – almost a character in the book – is described in terms of extraordinary beauty, coexisting with deep human tragedy. The violence that rises out of extreme oppression, the divided loyalties of a colonized person, sexual dividedness, and the dividedness of a person neither white nor black – all of these are truths that Clare must face. Overarching all the themes in this exceptionally fine novel is the need to become whole, and the decisions and the courage demanded to achieve that wholeness. Michelle Cliff sometime in the 1980s. In 1975, she met the poet Adrienne Rich, who became her partner and died in 2012. Michelle Cliff, a Jamaican-American writer whose novels, stories and nonfiction essays drew on her multicultural identity to probe the psychic disruptions and historical distortions wrought by colonialism and racism, died on June 12 at her home in Santa Cruz, Calif. She was 69. The cause was liver failure, according to the Adrienne Rich Literary Trust. Ms. Cliff and Ms. Rich, the poet, were longtime partners. …In her first novel, “Abeng” (1984), she introduced Clare Savage, a light-skinned 12-year-old Jamaican girl who befriends the dark-skinned Zoe, whose family squats on Clare’s grandmother’s farm. It is an idyllic relationship that cannot survive the harsh realities of race and class. Focusing on feminism, language, and history, this thesis explores the ways in which the theories of creolization set forth in Michelle Cliff’s novels, Abeng (1984), No Telephone to Heaven (1987), and Free Enterprise (1990), explain existence in an increasingly cross-cultural world. Michelle Cliff has gained critical acclaim as a novelist in the United States and England; her position as an expatriate Jamaican writer is not called into question. Yet when she is read against the background of Caribbean literary criticism, her authorial identity moves into the foreground. In this perspective, Cliff, as author, becomes problematic as soon as we try to define what she “is” as a Caribbean writer: a very light-skinned woman who identifies herself as black, a product of the Jamaican upper class (she came from a family of landowners with slave owners in their past), an expatriate (who has lived in Europe and the United States since 1975), a lesbian, a feminist, and an academic. The reception of her work indicates that Cliff herself-her embodiment as an author-has been an important factor in the evaluation and classification of her writing. As author, Cliff stands at the point of connection-or rupture-between two major non-congruent constructions of identity: third-world postcolonialist and first-world postmodern. Also relevant are debates about “race” as social construction (and its different operations in an American or a Jamaican context), and about gender and sexuality as constituent components of identity. It is not only Cliff’s authorial embodiment, of course, that raises these questions. Her work has always been overtly concerned with questions of identity, from the 1980 Claiming an Identity They Taught Me to Despise, through essays, short stories, poetry, and criticism, and three novels: the partly autobiographical Abeng (1984); No Telephone to Heaven (1987); and Free Enterprise (1993). 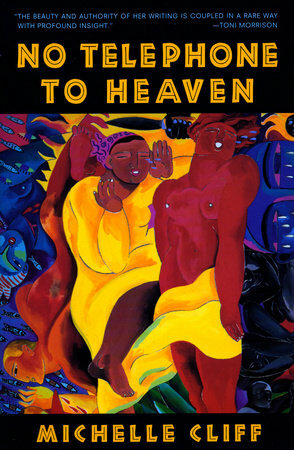 In this essay I shall focus on No Telephone to Heaven as a site where familiar notions of identity based in race, class, gender, and sexuality are questoined; it is in critiques of this novel that we can examine how Cliff’s authorial self is implicated in evaluations of her work. The Bildungsroman, a term that derived from German literary criticism, is a genre of literature that highlights popular conceptions of manhood and depicts the growth of the male protagonist. Many female authors use the Bildungsroman as a form of cultural expression not only to transform patriarchal views, but also to redefine femininity, articulate cultural conflict, and describe what it means to be a woman in a colonized culture. I will revisit this topic in Michelle Cliff’s Abeng (1984) and Chimamanda Ngozi Adichie’s Purple Hibiscus (2003), and examine family dynamics in order to show how each female protagonist negotiates the complexities of a hybrid identity and attempts to harmonize two opposite cultures.